Get set for Art School with Art Schooled! As this year’s new set of students embark on their own art school journeys, we’ve a very special competition to announce! Are you starting art school this September? We’re sure that in the first month, you will have all kinds of new, wonderful and weird experiences and we’d love to see them! Send us a sketch of anything strange, funny or just totally surreal that has happened! 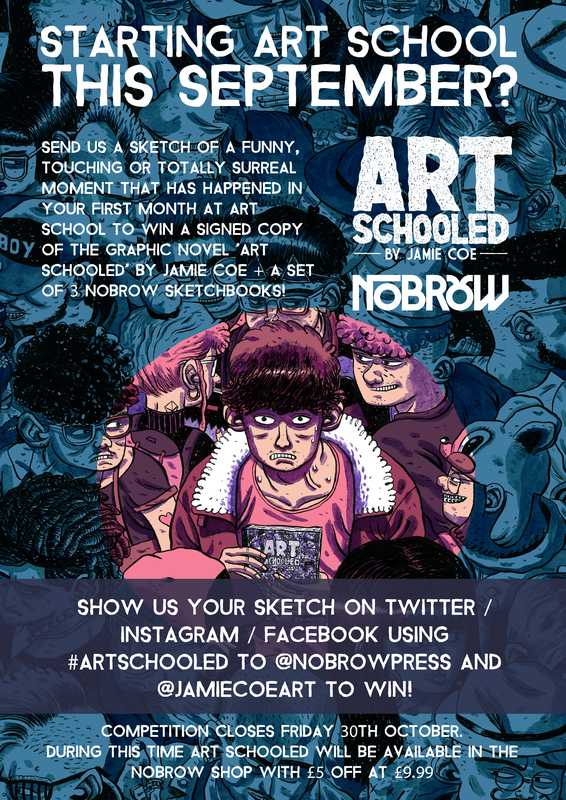 You can show us @nobrowpress and @jamiecoeart using #ArtSchooled on Twitter, Instagram or Facebook and we will choose our favourite to win a signed copy of Art Schooled and a set of Nobrow sketchbooks! And as if that wasn’t enough to be excited about, we have Art Schooled at a special price of £9.99 until the 30th October in the Nobrow webshop! Buy it here! From the pastures of the country to the pavements of the big city; Art Schooled is an unforgettable journey into adulthood. 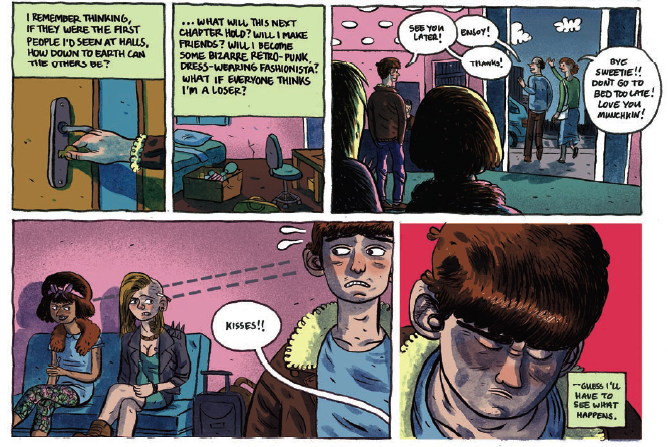 Daniel Stope is a small-town guy who dreams of becoming an artist. His enrolment at art school and consequent move to the city opens up a world of exciting possibilities. Unsurprisingly, Daniel struggles with his newfound independence – the difficulties of dating and making new friends in the big smoke. Coe’s tale is a visually powerful and enthralling graphic novel that anyone who has been through the doors of an art school can relate to! 1. What was the best thing about starting art school? Probably the idea of leaving the nest and starting a ‘grown up’ life as an artist, living somewhere new (that you can keep as messy as you want = rebel), studying art stuff alongside like-minded people and making new friends. I guess it can be kind of cliquey at the beginning, but that usually settles down. 3. What do you particularly miss about it now? I didn’t think I would miss it as much as I do, but, yeah I definitely miss it. Art school is the perfect place to play around with your art, make mistakes, learn from them and grow as an artist. I really miss late-night drawing sessions with my buddies. We’d play music, drink some beers, smoke ciggies and just hang out making stuff till the early hours, was a great time. 4. What are your favourite 3 moments in the book and why? A.) The ‘Creepy Guy’ scene because that actually half-happened, but it was when I was at school, before uni. I had a lot of fun drawing the opening panel, making the life drawing model as creepy and gross as possible. No disrespect to the life drawing model community of course. B.) I really enjoyed writing and drawing the ‘LABELS’ section of the book, where there are diagrams of all the stereotypes of modern art school students, based on their fashion, interests and attitudes. It’s a bit harsh, but go to an art school, you will see similar people. C.) The bit where Daniel punches Pip’s ex-boyfriend in the throat. Because I got to draw someone getting punched in the throat. 5. How much of the book is based on your own art school experience? It’s a fictional story with fictional characters, but yeah, it’s definitely based on a lot of my own experiences. 6. And what one piece of advice would you like to offer this years’ new art school beginners? (*clears throat, ready for an emotional, motivational speech*) I guess I’d say, enjoy it while it lasts (*cries pathetically*) and you know, ‘work hard, play hard’. 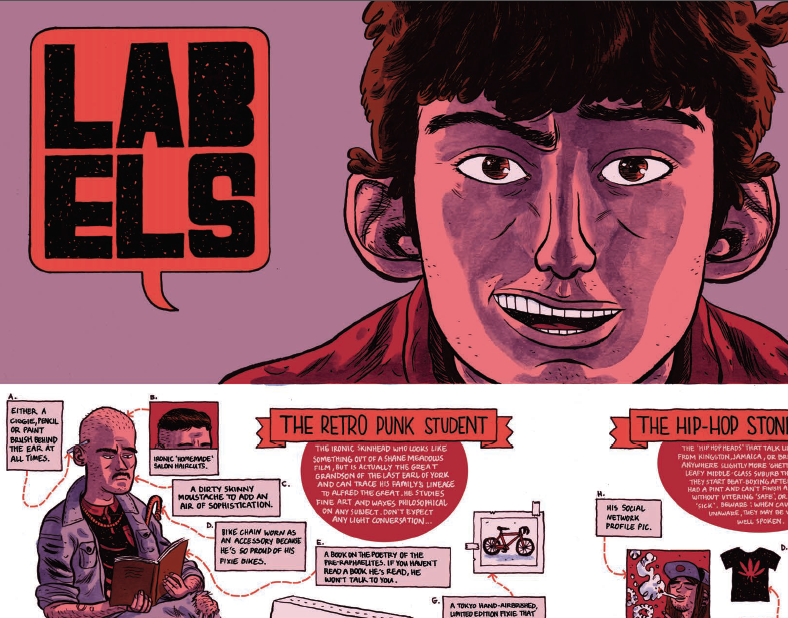 NOBROW happenings at SPX 2015! 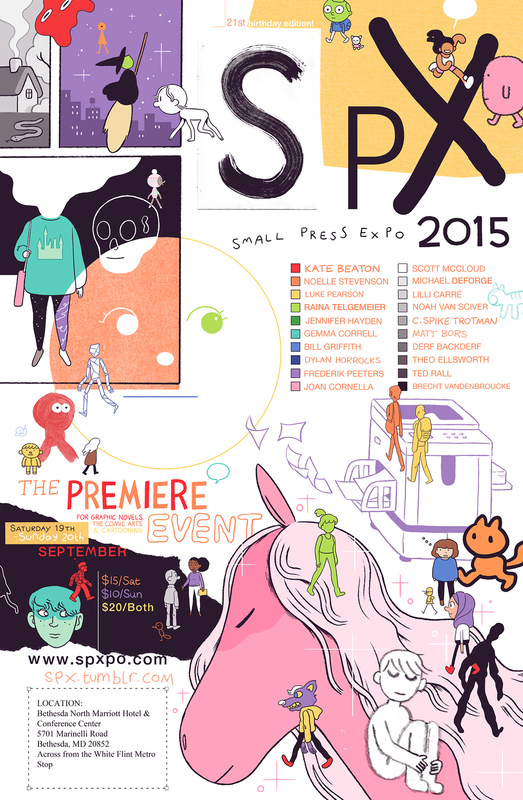 SPX is back for another year of amazing comics and art, and NOBROW will be all over it! Check out that Luke Pearson poster! One of the most beloved shows in the independent comics scene, the Small Press Expo will be happening on September 19th and 20th in Bethesda, Maryland. Nobrow will be posted up at tables W76-78, and boy oh boy do we have some cool stuff in store for you! First up, the books! We’ll have our latest releases and all our certified hits, to be sure, including the beautiful (In a Sense) Lost and Found by Ignatz-nominated artist Roman Muradov. Pick up a copy and see for yourself why Roman’s been nominated for the Ignatz Award for Outstanding Artist! SPX 2015 will also be the North American debut of the paperback edition of the instant classic Hilda and the Troll by special SPX guest Luke Pearson! It’s the very first Hilda story reprinted in a wonderfully designed new format, perfect for sharing with those new to our favorite adventurous heroine Hilda. This edition also features some sketches from Luke as well as a bonus Wood Man comic! Once you’ve picked up your copy of the new Hilda and the Troll Paperback edition, don’t forget to stop by the Nobrow table from 3pm to 4pm (both days) where you can meet Luke and have him sign your books. If you’re a big Fantasy Sports fan you’re going to want to stop by our table because the creator of one of the hottest books of the year, Sam Bosma, will be hanging out from 4pm to 5pm on both days! Sam will be signing books and making some outrageous claims about who can out-ball Steph Curry, it’s gonna be wild! Books, signings, an Ignatz nomination… we’re not done yet! Make sure to come by The White Oak Room on Sunday from 2pm to 3pm to check out the SPX spotlight on Luke Pearson, Philippa Rice, Sam Bosma, and Kali Ciesemier! These four amazing artists will be talking all about their art, their process, their projects, and much more. Don’t miss out on what’s sure to be an insightful panel featuring four of today’s most exciting young artists! It’s going to be an amazing weekend! Make sure to come by and say hi! Your friends at team Nobrow will be manning Tables W76-78 on both days, Saturday the 19th and Sunday the 20th. See you there! 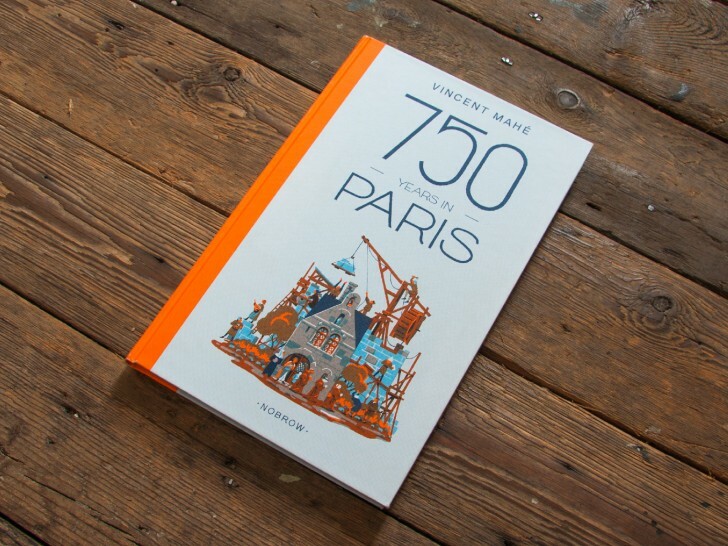 Say Bonjour to 750 Years in Paris! 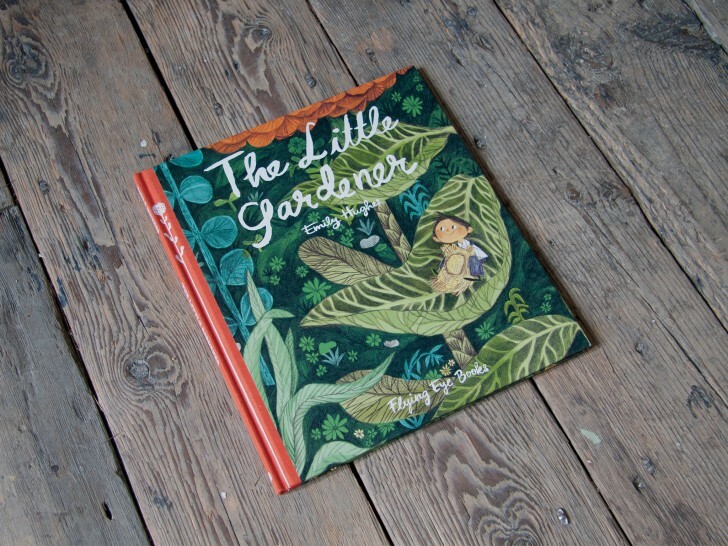 We’ve been bursting to tell you all about this brilliant book for a long time and we’re delighted to finally share it with you! Embarking on a fascinating journey that moves only in time, Mahé transports us over 750 Years, from 1265 to 2015, standing in one spot, focusing on one building on a street in Paris. In this unique, historically accurate and beautiful graphic novel, we travel through the changes of this building, starting in the 13th century, via the French Revolution and the 2nd World War to Paris as we know it today. Through his distinct, captivating visual style, Vincent has elegantly and concisely created snapshots of the city that capture the style of architecture, fashions, transports and political states of each time depicted. With each revisit there is more to see and more to learn in this book that keeps on giving so go ahead, explore and enjoy 750 Years in Paris! If you could travel back in time to any of the years shown in 750 Years in Paris,which would you choose and why? A part of me would like to be in 1789 to witness the first moments of the French Revolution. These events inspired so many people, writers, artists, directors. I would like to differentiate the myth from the truth. But the other part wants to be in 1998 and win the world cup again. I would avoid the middle ages in general. I mean, can you imagine that these people didn’t know the taste of tomatoes and potatoes? How many years have you lived in Paris and what are the biggest changes that you have seen in this time? I was born in Paris but grew up in the west of France. I moved back to the capital in 2003. Many things have changed in 12 years. The arrival of Velib’ (city bikes) was quite something. It created a global desire for riding bikes all over the city. What are your predictions for this building in the next 5, 50 and 500 years? 5 years: It’s full of tourists, every single room in rented on airbnb. 50 years: a bit like Interstellar, every single parisian is a farmer and is taking care of there indoor soilless planting. 500 years: Western civilization has collapsed, but its ruins are visited by talking dog tourists. Also, why did you choose the colours of the book as orange and bright blue? These are very striking and it looks great but aren’t colours that we’d usually associate with France/ Paris! 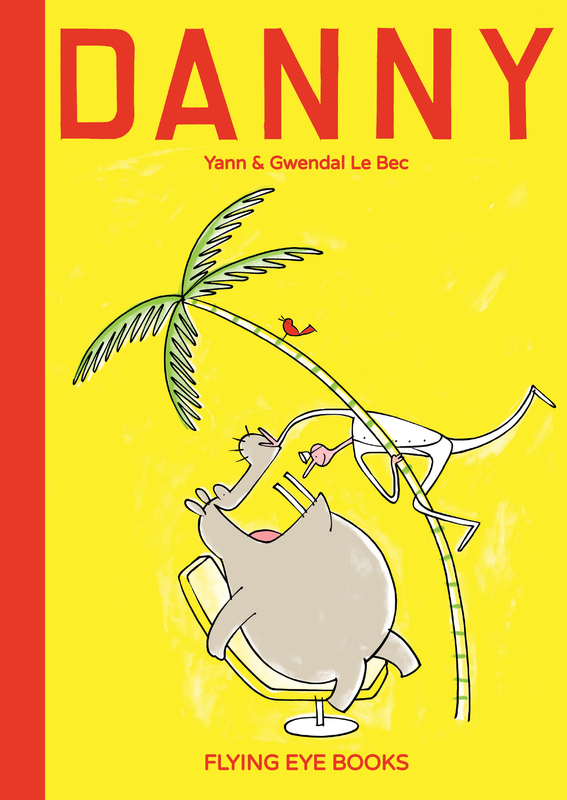 I didn’t want the book to be that obvious with a color palette like a French flag. I needed colours that could, when mixed, give me a good range of others colors. Also because of what’s happening in the book, the mood is heavy sometimes, I wanted the palette to be warm, to cheer it up a little. How long have you been working on this project? Which were the most enjoyable aspects of creating this book? I have been working for 2 years on this project. Not full time, but still, it was a huge amount of work. I love drawing buildings and architecture but when this was done I must admit that the best part was to put the little characters in the scene and make them live in it. It was as thrilling as playing lego. Which one thing would you recommend a new visitor to Paris do on their first trip? If it’s the first day of your very first visit in Paris, I would recommend you to go on the rooftop of Centre Pompidou to get an overview of the city. The restaurant up there is not bad at all, it’s called “Georges”. Don’t forget to visit the museum 2 floors below, the collections are amazing. Do you often sketch on the streets of Paris? Do you have favourite spots to sit and draw? Can we see a page from your sketch book? I do, not as much as I want unfortunately. Jardin du Luxembourg is a good place to draw. 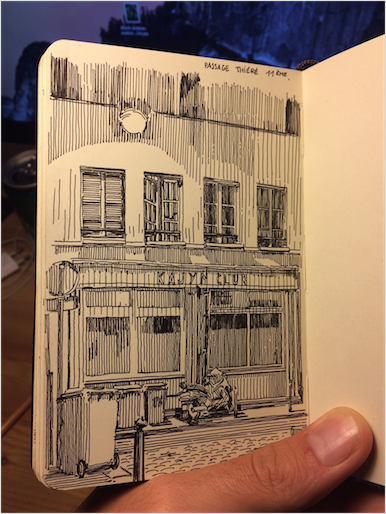 There are kids with their model boats, old men playing chess, tennis players, statues and ponies… Here’s a page of my sketchbook, from outside a bar near Bastille at nighttime. Thanks Vincent! You can buy the book from http://nobrow.net/shop/750-years-in-paris/?